Precious metals futures advanced Wednesday with gains ranging from less than 0.1% for palladium to 1.1% for platinum. 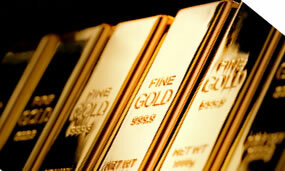 Gold extended its win streak to four sessions and it ended at an about two-week high. Gold for June delivery tacked on $5.60, or 0.4%, to settle at $1,313.90 an ounce on the Comex division of the New York Mercantile Exchange. The settlement was the highest since March 26. "The precious metals are being supported by bullish outside market forces that include a weaker U.S. dollar index and higher crude oil prices today," Jim Wyckoff, a senior analyst at Kitco Metals Inc., said in a report. Gold futures ranged from a low of $1,304.70 to a high of $1,314.70. They climbed 0.5% on Tuesday and on Wednesday. Silver for May delivery added 3.3 cents, or 0.2%, to end at $15.244 an ounce. Silver futures traded between $15.11 and $15.27. They dipped a half cent on Tuesday and rose 0.9% on Monday. July platinum gained $9.60 to $908.90 an ounce, ranging from $890.50 to $912.80. Palladium for June delivery inched up 60 cents to $1,363.20 an ounce, trading between $1,355 and $1,371.50. Gold rose $2.45, or 0.2%, to $1,305.45 an ounce. Silver gave back a cent, or less than 0.1%, to $15.245 an ounce. United States Mint bullion sales rose by 500 ounces in $5 American Gold Eagles. Below is a sales breakdown of U.S. Mint bullion products with columns listing the number of coins sold during varying periods.